What Causes a Flare Up of Knee Osteoarthritis? Osteoarthritis, also known as OA is a condition where the connective tissue around your bones and joints start to deteriorate and can cause rough pain and discomfort when this starts of occur. An important thing to remember before this happens is the fact that this cant be reversed once it began happening. This article will serve as a guide where you can learn everything you need to know about OA and the flare ups that can occur. The flare ups that are experienced when someone has osteoarthritis, is referring to an increased number and intensity of symptoms. These flare ups can be caused by many things which we will be going over in this article, but its important for you to be educated about what youre feeling in the moment and what is just a simple everyday pain. 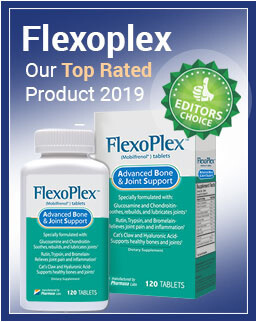 First well be covering the number of symptoms you might be experiencing with OA when a flare up occurs, then well be going into the causes behind this occurrence, finally well be closing this article with a few solutions to you add in to your lifestyle to see if you notice a difference in the health of your joints and connective tissues. By the time you finish reading through this guide we hope that you have come to some kind of conclusion and new direction so you can figure out what youd like to do next for the betterment of your health and quality of life. Youre not alone when it comes to your osteoarthritis, youre worth finding answers for, so not settle for less, even when you go to your trusted doctor. Let them know the pain youre dealing with and bring up ways from this guide to better your quality of life so they have have a direction to point you in. What are the Symptoms of a Flare Up? There are many symptoms that can cause a flare up with OA, below weve included a list so you can see if youve been experiencing any of these issues as well. A huge amount of pain due to joint pain, it doesnt just have to be limited to your legs, it can be from anywhere. There are many common symptoms of swellingaround the affected joint areas, this is very common and painful as well. Many people have found that when they have major flare ups of osteoarthritis, they experience very small ranges of motion in the affected areas. Many have also experienced a huge reduction in energy as well, many people will start to feel tired and drained from dealing with this kind of pain in the joints. This can lead someone to being drowsy and also irritable as well since theyre always tired. Flare up symptoms are frustrating and can also really bring down a persons overall outlook on life, anything that brings down a certain quality of life that someone is use to living, it can be very hard to adjust to a change like this. Which is why its important to know everything you can about this so you can improve your life the best you can. What are the Causes of a Osteoarthritis Flare Up? There are multiple causes of an OA flare up. But the overall cause of osteoarthritis is not known, there are some things to try an avoid if you have experienced osteoarthritis before and have had regular flare ups. These are things you should enjoy especially if your family has experienced osteoarthritis. Below weve listed the most common causes of what can cause an OA flare up or even in a more extreme sense, cause OA to occur in the first place. Stress is a huge factor that can cause many problems that relate to health, but it is a huge player in the field of OA. Many people also experience ticks that may cause repetitive sayings or movements to occur regularly, this can also cause OA to occur. Quick weight gain can also be a cause of OA. Some infections can also cause osteoarthritis to occur overtime, even when an infection is being treated. Any kind of exercise related injuries as well. The list might seem random, but because of how little people know about osteoarthritis, it can creep up on anyone who may have experienced something like these causes weve listed above. It depends on you as a person, how these causes may affect you, but keep in mind that they could lead to something worse. What are the Solutions of a Osteoarthritis Flare Up? There are a few different options you can consider when you want to treat OA. You can either choose between different kinds of home remedies or prescription medications. There are various narcotics your doctor can prescribe to you if the symptoms are bad enough. 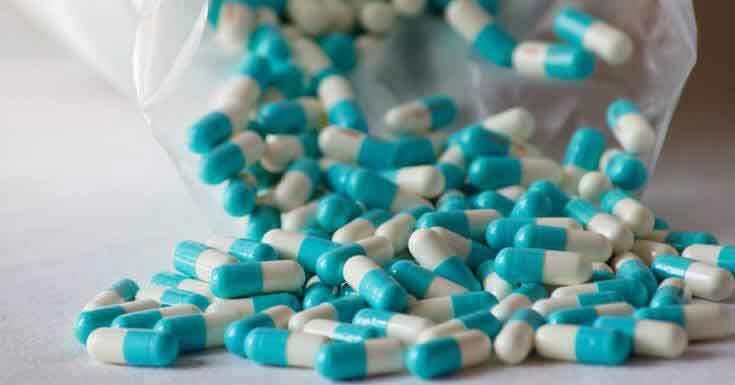 There are also NSAIDs that can be prescribed as well. Corticosteroids are a bit more heavy, but they can be used to help if nothing else will. We always suggest to follow what your doctor says, but because of preexisting health conditions there are many cases were prescription grade drugs are too harsh on the system. Which is why weve collected some important home cures to try as well. Many people have found relief with acupuncture sessions, not only will thisrelief pain, it will also help you to balance stress as well. Temperature therapy is also used to help unlock muscles and relax the body. Massage is another fantastic way to make sure to loosen up your joints in a healthy and relaxing way. Yoga, not only will it work your muscles and joints it will also help you reduce stress and regain needed balance. You can try this Paractin joint pain supplement to get relief from osteoarthritis. No matter what kind of symptoms you may be feeling because of the symptoms of OA, it can put your life on hold. But when you step in the right direction and make sure youre making the most out of your resources to change how you feel in a positive way. You shouldnt hold back, take the initiative and find what works for you.